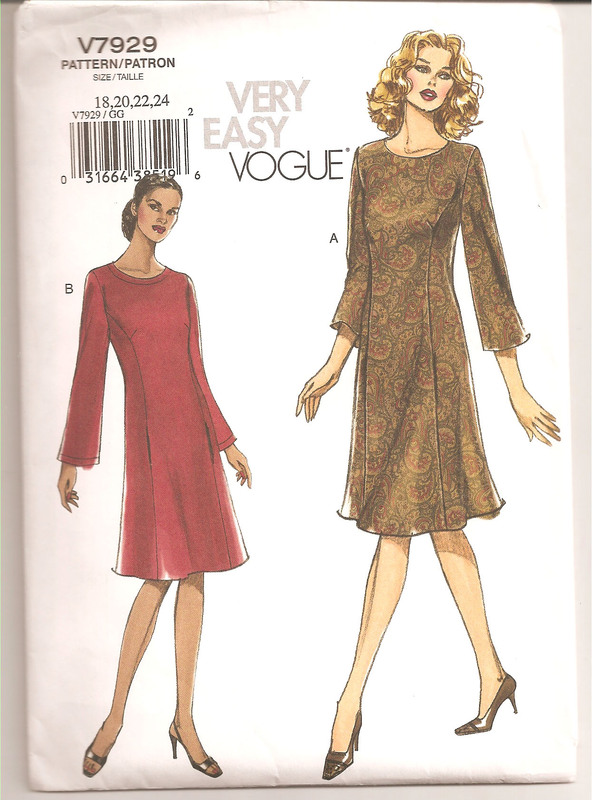 Okay, so I’m already half way through making a vintage vogue princess seam day dress, but I have run into a slight difficulty. When I was pinning the pattern onto the fabric I got the distinct impression that the man-made fabric that I had chosen for the dress was hostile to the whole process… it was really difficult to stick pins into, and when I tried cutting out the pieces it kept slipping everywhere. So I’m not very enthusiastic about running this through the machine, particularly because my skills are still a bit rusty. A lovely pattern, but a real challenge to push a pin through. I finally got all the pieces cut out, and felt exhausted. On the plus side, I’m pretty sure that this man-made fabric is indestructible and most likely fire proof too. But none of these qualities are conducive towards a novice dressmaker. 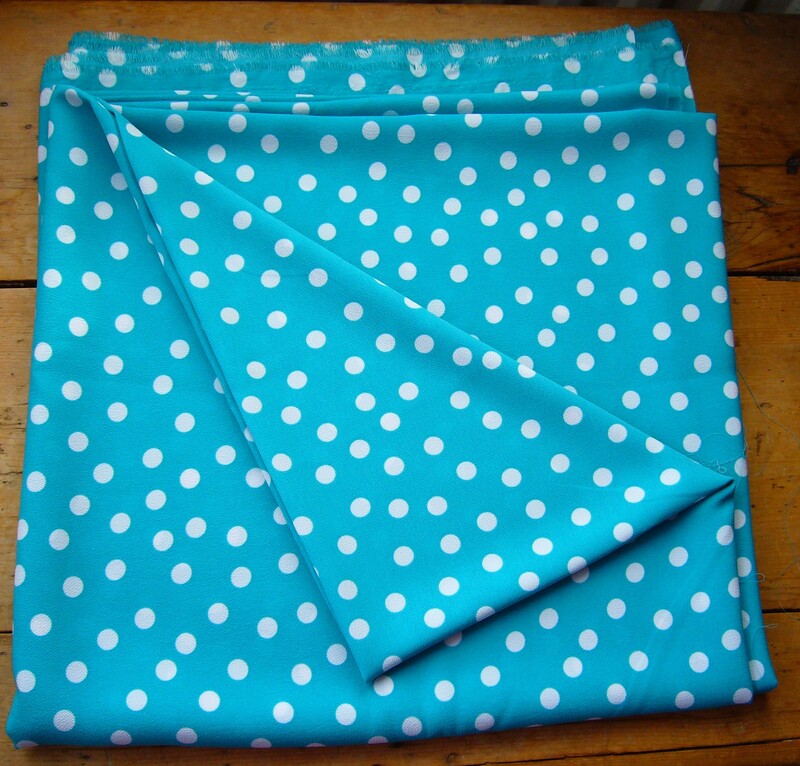 Luckily, I picked up some gorgeous blue polka dot crepe de chine in the January sales, and I think that this might be a much easier fabric to work with at the moment. 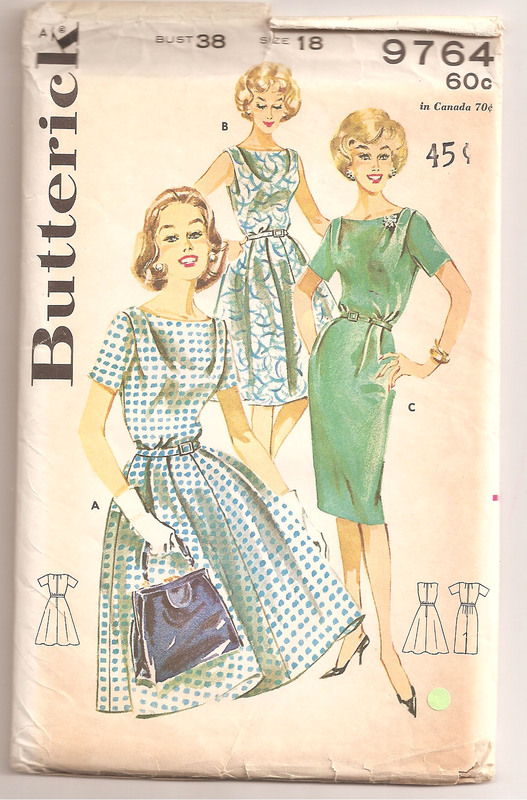 So I think I’m going to start making a dress with this lovely crepe de chine and come back to the vintage vogue dress and the tricky fabric when I’m a bit more experienced. 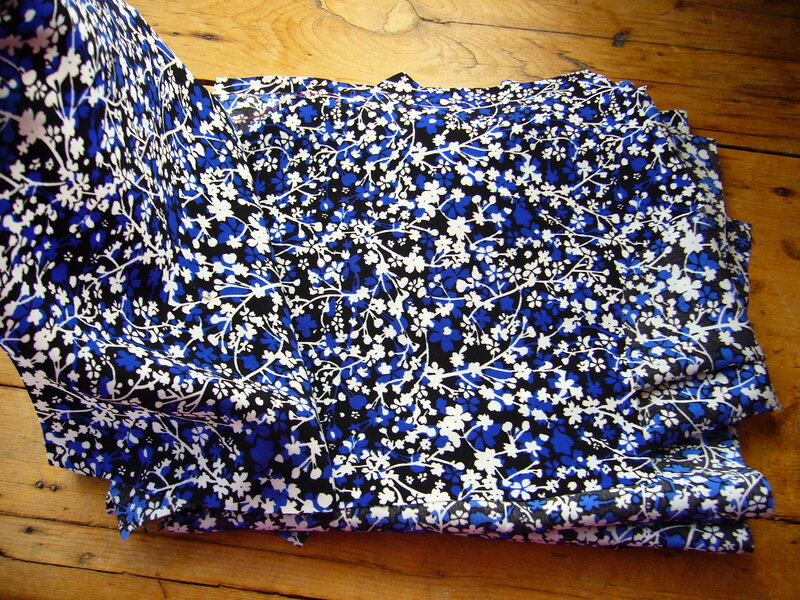 I really think that the floaty crepe de chine will make lovely drapes at the shoulder of this dress. 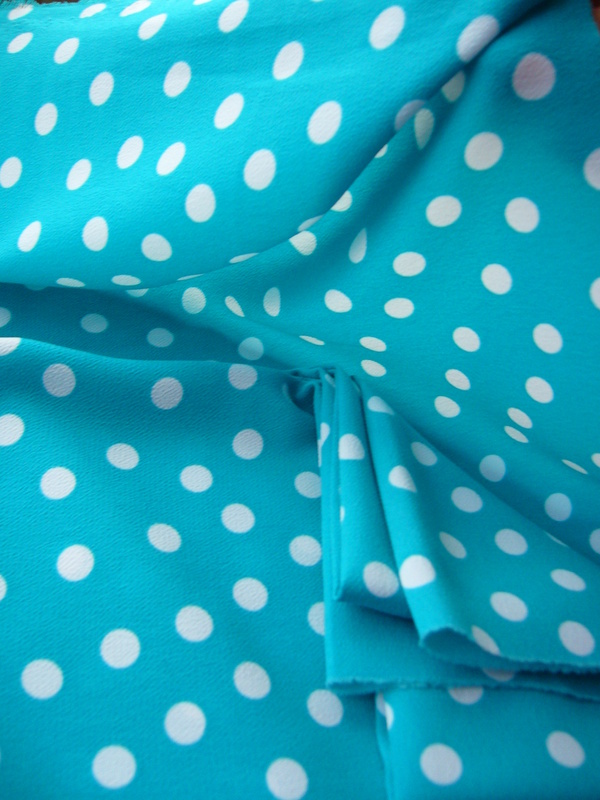 The bright blue colour will look great for spring (if it ever arrives…) and the fun little polka dots will give the dress an exciting edge. I think this dress could look awesome in this fabric – particularly the little drapes around the shoulders and bust.